Gionee is all set to launch its latest upcoming smartphone, the Pioneer P3. The Pioneer P 3 comes with some top specs at budget price. Although the company has not revealed anything about the phone yet, but the phone is listed on some online stores. Gionee is already famous and well known for its quality products. The P3 is successor to P2 that was launched earlier this year. The Pionner-P3 comes with 4.3inch WVGA display, powered by 1.3GHz 4-core MT6582 processor and runs on Android v4.2.2 Jelly bean OS with little bit taste of Amigo UI on the TOP. 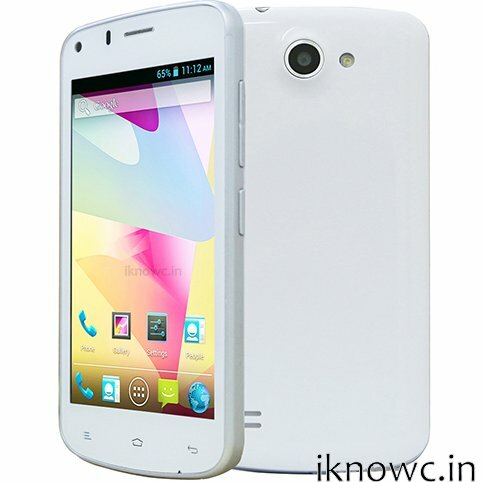 It is Dual SIM phone and it packs with 5MP rear shooter with Flash. The P3 is expected to be launched under price of RS. 8,000. It will compete with Micromax Canvas A77 and recently launched Xolo Q500.